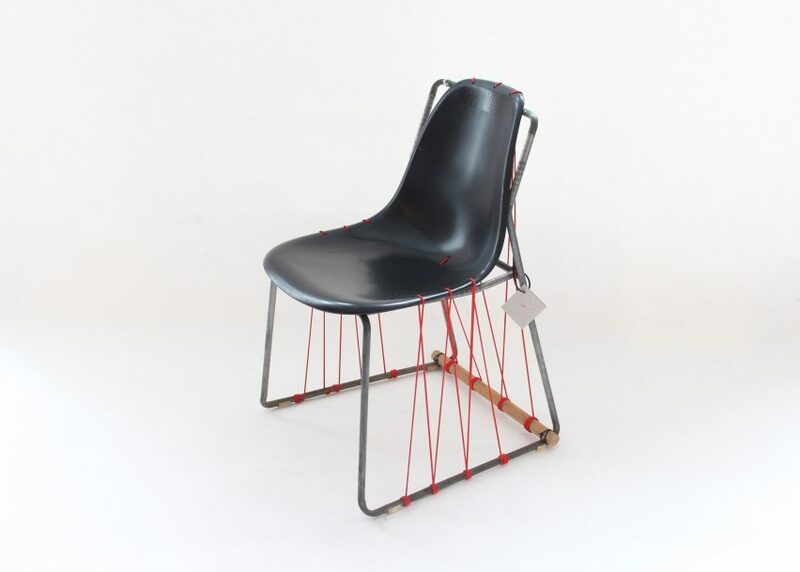 Musical Chair by Fiona Davidson – plastic shell, bungee cord, gaffer tape, tubular steel frame. Chair 02 by Joe Buttigieg – steam-bent beech component, Kriptonite shelf, Marcel Breuer Cesca chair backrest and Robin Day chair base. 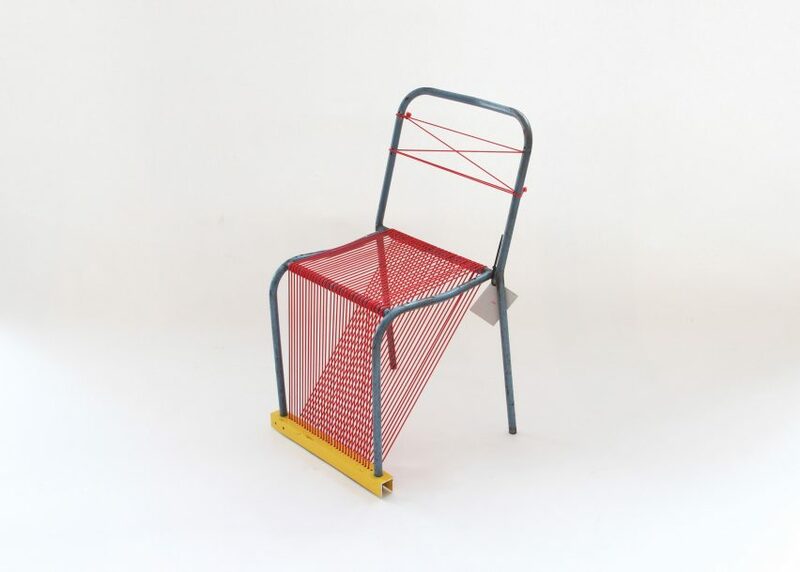 1 X 2 chair by Alex Hellum and Danny Clarke – bungee cord seat in tubular steel frame. 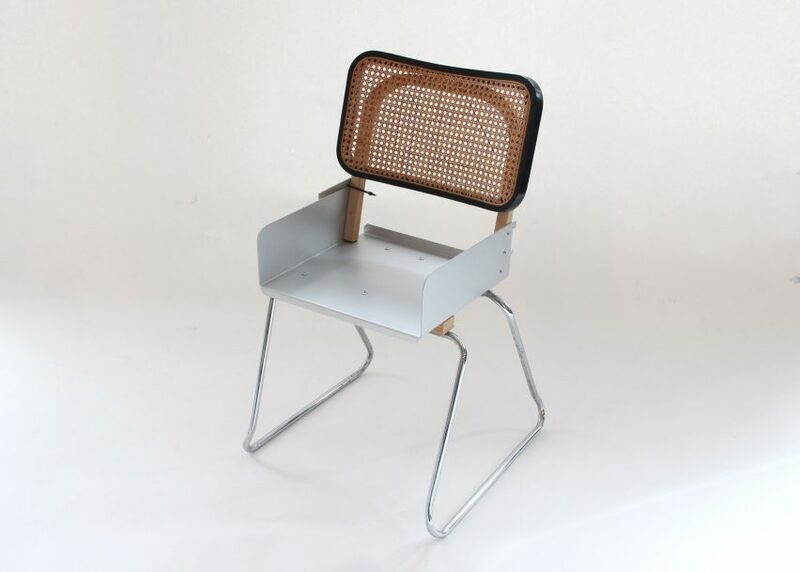 SJ7 Chair by Sam Johnson – Douglas fir faced ply, oak legs and rails, tubular steel. 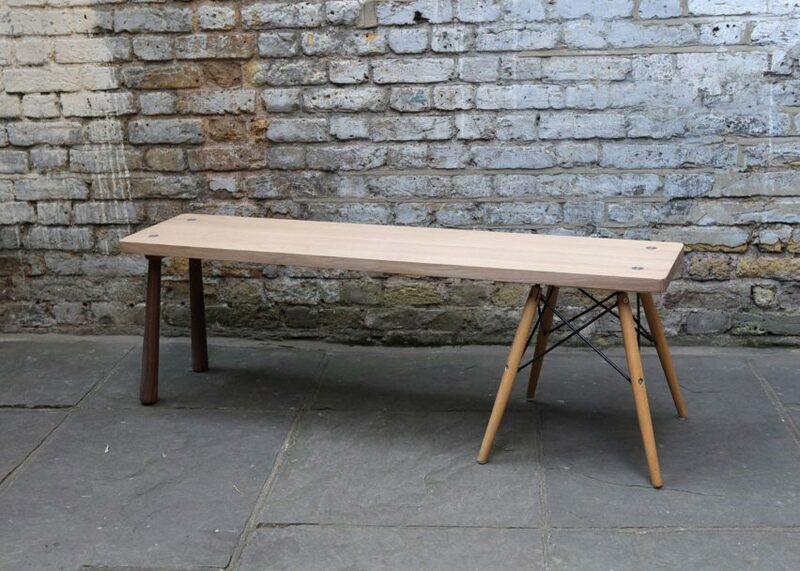 Thanks Charles Bench by Carl Clerkin – oak, walnut, beech, wire frame. 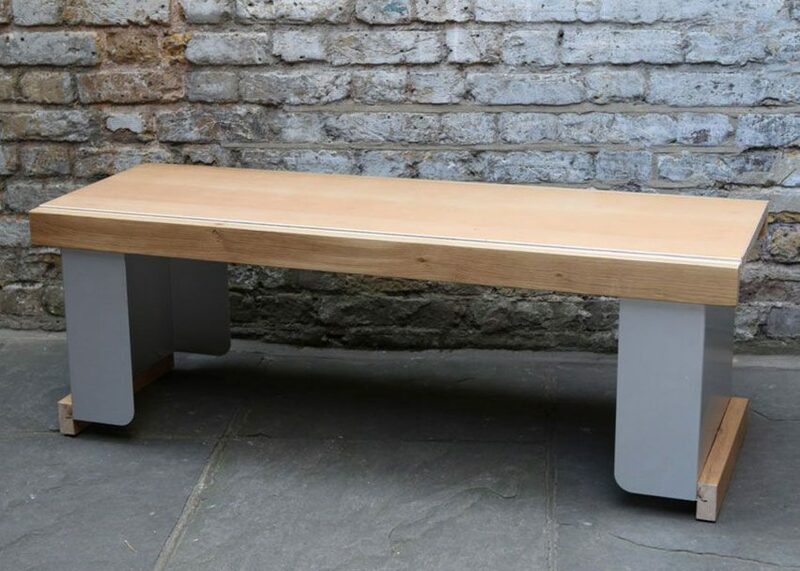 Kryptonite Bench by Carl Clerkin – Douglas fir faced ply, oak beams and feet, folded aluminium. 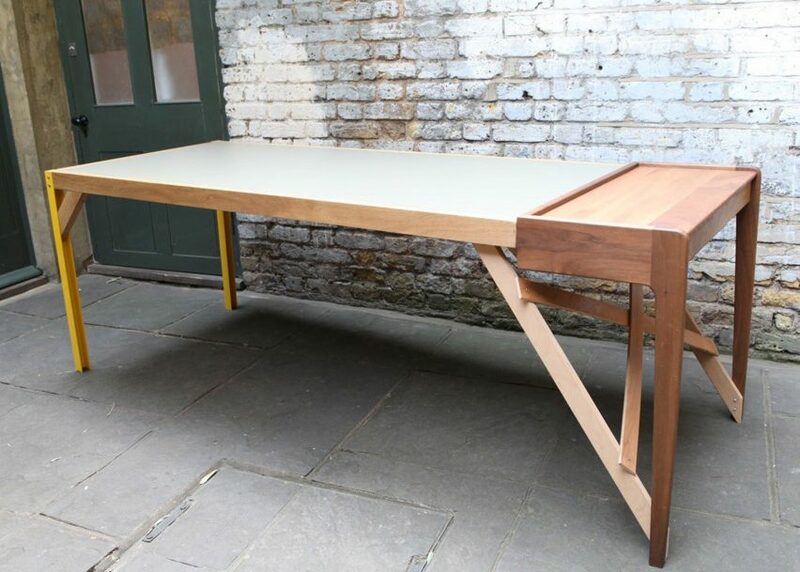 Massive Table by Neil Austin – walnut console, oak rails, powder-coated aluminium. 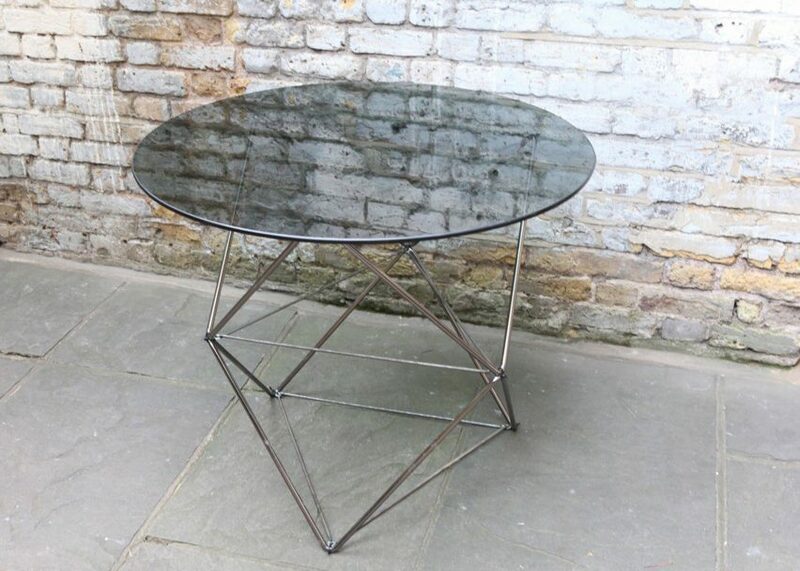 Coffee X 2 = Dining by Carl Clerkin – chrome steel bar, cable ties, washers, steel rod, tinted glass. 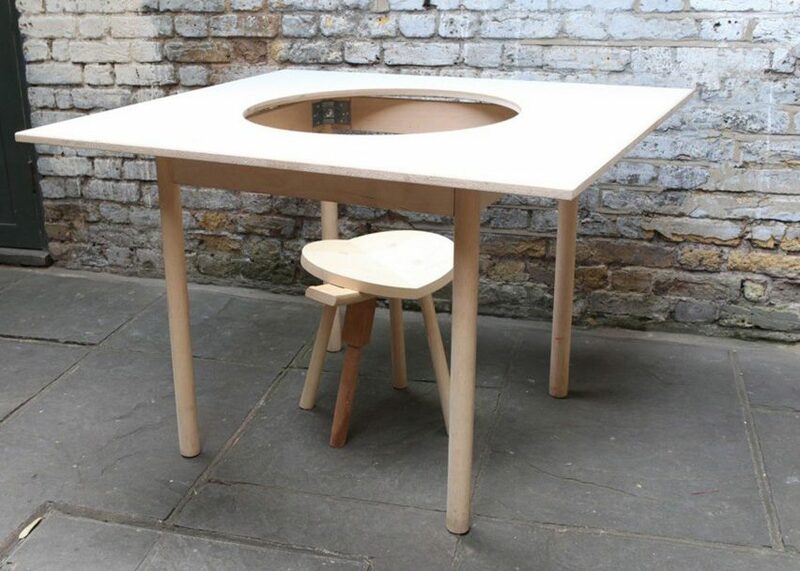 Table for five by Hans Stofer – laminated MDF top, beech frame. Designers raided the SCP warehouse for discarded furniture to make the pieces in the The Thing With MaltaSingh exhibition, set to be auctioned next week. 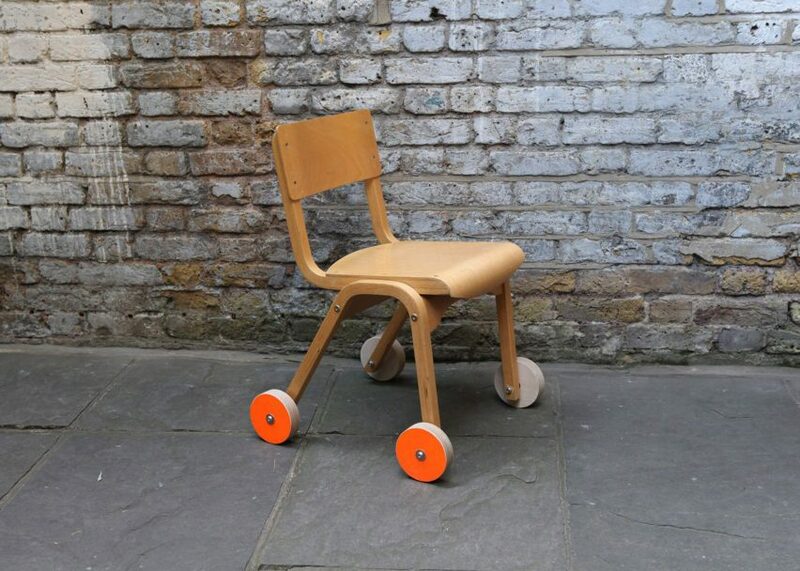 Alex Hellum, Clark Clerkin, Max Frommeld, Jochem Faudet are among the designers involved in constructing the Frankenstein-esque works, recycled from the furniture manufacturer and retailer's cache of damaged or otherwise unusable pieces. A Kriptonite shelf, Marcel Breuer Cesca chair backrest, Robin Day chair base and steam-bent beech component combined to make Chair 02, designed by Joe Buttigieg. He described them as "the most unlikely components to ever be compatible with each other". 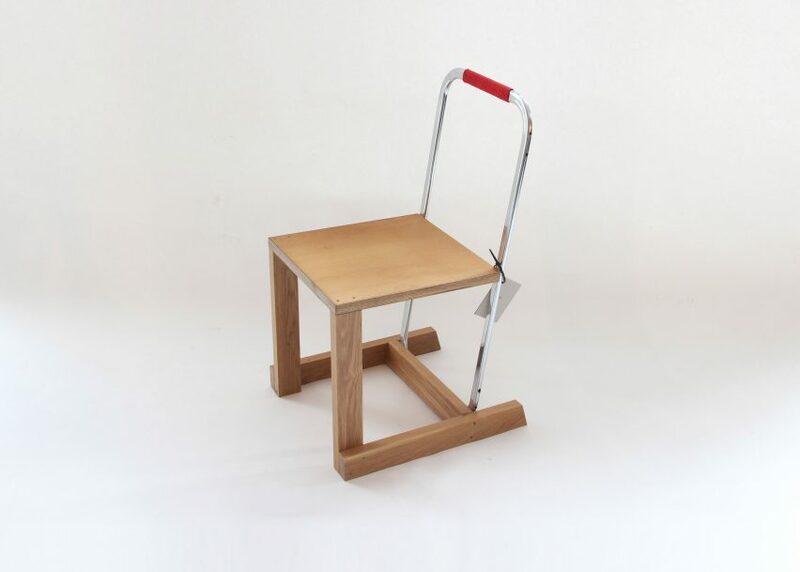 Hellum rescued one of his own works, the Tool Stool, and evolved it into the Ulric Chair, with a backrest made of steam-bent beech and ash woods. "Everything where it aught to be," says Sam Johnson of his SJ7 Chair. Meanwhile, Fiona Davidson named her creation – wrought from a plastic shell, bungee cord, gaffer tape and tubular steel frame – the Musical Chair, because she says it reverberates. The pieces were displayed during the London Design Festival at an exhibition titled The Thing With MaltaSingh, held at Gallery SO on Brick Lane. Initiated by Clerkin with Danny Clarke and Jasleen Kaur, the idea for the project resonated with SCP, which was focusing on the theme of "forever" during the festival. "We loved the idea of things that were unusable becoming functional again," said the brand, which celebrated its anniversary last year. "Now is the time to set these pieces free." The collection also includes pieces by Neil Austin, Jon Harrison, Sam Johnson, Lucy Kurrein, Benny Magennis, Alric Marchand, Michael Marriott, Gareth Neal, Will Smith, Hans Stofer and William Warren. The furniture will be sold at an auction hosted by Max Fraser at SCP East in London's Shoreditch, on Monday, 10 October, from 7pm. An auction preview begins on Saturday, 8 October, from 9.30am. The pieces are estimated to sell for between £90 and £400, and 10 per cent of the proceeds of sale will be donated to cancer support centre Maggie's.